FERNANDES, Maria Matildes - It is with profound sadness that we announce the passing of our loving sister Maria Matildes on Saturday, September 15, 2018. Loving wife to the late Valerian Fernandes. Matildes will be sadly missed by her brothers sisters Jacinto, Sarita (Dacy), Paul (Vanessa), James (Lorretta) and Tina (Bonny), nephews, nieces, extended family and friends. 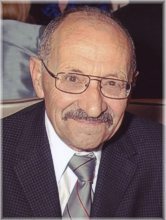 BARBIERI, Vittorio - Peacefully passed away at Sunnybrook Health Sciences Centre on Saturday, September 15, 2018. Beloved husband of 44 years to Clarice (nee Perdue). Dear brother of Francesco, Robert (Dawne) and the late Betty Doria (Vito). BOOTH, Violet Isobel - 1922 - 2018 It is with deep sadness that we announce the death of our mother who died peacefully on September 15, 2018, at Southlake Residential Care Village. Violet was predeceased by her husband Walter. TOMKINS, Graham Henley - 1932 - 2018 It is with profound sadness that the family of Graham Henley Tomkins announce his death at Scarborough General Hospital on Saturday, September 15, 2018. MURNAGHAN, Elmer Stephen - It is with heavy hearts that we announce Elmer Stephen Murnaghan's passing on September 15, 2018 in Toronto. 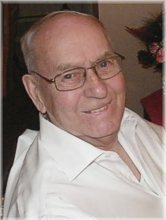 Husband to Janice (Williams) for over 65 years. Father of Beth (Jim Stein), predeceased by daughter Jane (2018), Mike (Liz) and Jim (Sharon). Grandfather of Eric, Jessica, predeceased by grandson Stephen Jay (1987), Riley, Haley, Becky, Matthew and Marnie. McPHAIL, John - We, the family of John McPhail, regret to announce his passing on Saturday, September 15, 2018, at the Cape Breton Regional Hospital, Sydney. Born April 13, 1929, in Toronto, he was the son of Scottish immigrants, the late Joseph and Bridget "Bessie" (Jenkins) McPhail. John touched many during his lifetime. FRANKLIN, Gwendolwyn (Gwen) Mary - Passed away on Saturday, September 15, 2018 at 88 years of age at Trillium Hospital in Mississauga. Gwen was born in Swalwell, Alberta on July 6, 1930 to Amelia and William Gibbs. Two of her passions in life outside of her family were gardening and reading. On the last day of her life she had had lunch with her family, spent the afternoon in her garden and headed to bed with a book telling her husband what a great day she had had. ALLEN, Everett 'Baz' Basil - Peacefully on September 14, 2018 in his 99th year in Toronto. Predeceased by his first wife Beth Allen and second wife Jean Kerfoot Allen. Survived by his daughter Leslie, his son Lawrence and by his nieces and nephews; Margaret Holmes, Ann Falls, David Holmes, Howard Morris, Margaret Lee, John Morris, David Morris, Ann Biggar and by Brian, Gerrald and Leona Perkin. Baz was a WW II RCAF veteran, a metallurgical engineer and a long time resident of Christie Gardens whose community and staff provided much support in allowing “Baz” to live a fulfilling, independent life. MANUELE, Donata - God called Donata peacefully on September 14, 2018 at the age of 88. She will be forever missed by her loving husband, Antonio. Cherished by her dear son, Gianfranco (Rosanna). Proud Nonna to Daniela, and Maria Luisa. Adoring Zia to Adina Secola, and Guido and Mike Papiccio. SHAFFER, Jeffrey - On Friday, September 14, 2018 at Credit Valley Hospital. Beloved husband of the late Rosalind Shaffer. Loving son of Sonia and Sheldon. Caring father and father-in-law of Alicia and Jeremy Dahdi, Michelle and Stephen Foote, and Melissa and Darren Myers. MOOREY, Anne Moorey - Peacefully at Cedarvale Lodge, Keswick, with her daughter by her side, on Friday, September 14, 2018 at the age of 90 years. Anne Moorey (nee Wieder) beloved wife of the late Charles Moorey. Dear mother of Linda and her husband Bill Parsley of Duclos Point, Raymond Moorey of Florida and mother in law of Marlene Moorey of Brechin. Predeceased by her son Ron. GREEN, Doreen - Peacefully at Cedarvale Lodge on Friday September 14, 2018 at the age of 94 years. Beloved wife of the late Arthur 'Art' Green formerly of Thornhill, Ontario. Dear sister of the late Fred Wise (Elizabeth), and Hugh Wise (Gail), formerly of Richmond Hill. SUMMARIA, Lauretta - April 23, 1922- September 14, 2018 - Peacefully on September 14, 2018, God called Lauretta Summaria at the age of 96. She now joins her late husband Gabriel for eternity. She will be forever loved and deeply missed by her son Peter and wife Mary. She will also be lovingly remembered by her grandchildren, Marco (wife Meghan), Amanda and great-grandchild Sydney. CALLAHAN, Christopher Harold - Passed away suddenly at his home in Shannonville on Friday, September 14, 2018 in his 44th year. Chris will be deeply missed by his dear wife Michelle Wallis. MADGETT, Kenneth Robert - Peacefully passed away on Friday, September 14, 2018, at the age of 84. Brother-in-law of Jim, and Clarke (May). Sister-in-law of Betty. Loving uncle of Duane (Jodi), Jeff (Nikki), Michael, Crystal, Claire (Sean), Heidi (Chris), Karen, Julie, and Christian. Great uncle of Myia, Jack, Ben, Tommy, Grace, Liam, William, and Rory. PHILLIPS, Arleen Annette - Arleen Phillips passed away peacefully in her sleep on Friday September 14, 2018 at Scarborough General Hospital, at the age of 52. She is survived by her husband Brian, daughter Leanne (Matt), and sister Lynn (Tony). Aunt of Bradley, Brian, Crystal, Cody, Collin, Connor, Kyle. Helen Kafun was born on May 25, 1923 and passed away on September 14, 2018. PAOLOZZI, Lidia - It is with profound sadness we announce the passing of Lidia Paolozzi, on Friday September 14, 2018 at the age of 89. Loving mother of Enzo (Carmela) and Nello (Rosemary). Cherished grandmother of Alida, Gianluca, Robert and Alex. 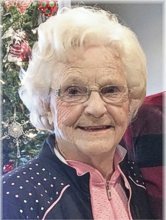 SINCLAIR, Madeline - Passed away after a lengthy illness on Friday, September 14, 2018; at the age of 95. She is now reunited with her late husband James Sinclair. Beloved mother to Jackeline Doyle and John Hunter (Maria). Cherished grandmother to Danny.